March | 2014 | cut it out, stitch it up! All the socks I have knitted so far have either been in stocking stitch or rib so I thought it was time to move into something with a pattern. I found the ‘Hermione’s Everyday Socks’ from reading Chris’s Make & Wear blog. It’s a simple pattern, just adding a purl stitch every other row but I think it looks quite effective. You can get the pattern as a free download from Ravelry. The pattern is set up for knitting on two circular needles. I haven’t knitted socks like this before so I used my tried and tested method of knitting on 4 double pointed needles. I knitted on 60 stitches rather than 64 and spread my stitches 30, 15, 15. I sort of lost my momentum with these and they took nearly 8 weeks to knit. There were a few mishaps along the way. Somehow I added an extra stitch which created a little hole so I did the right thing and unravelled. On the second sock I started increasing the stitches for the gusset before I hand turned the heel and was wondering why it wasn’t looking right. So again, a bit more unravelling. Also I didn’t read the pattern correctly for the heel flap. The pattern is a 4 row repeat and I was working on a two row repeat. I left this as it looked fine as was how I usually knitted heel flaps. The yarn was from my local habby shop, Regia Summerspray Cotton Stretch Color in colour 03033 which is a very pale grey. And it does stretch and they feel more light weight than the previous Regia yarns I have used. 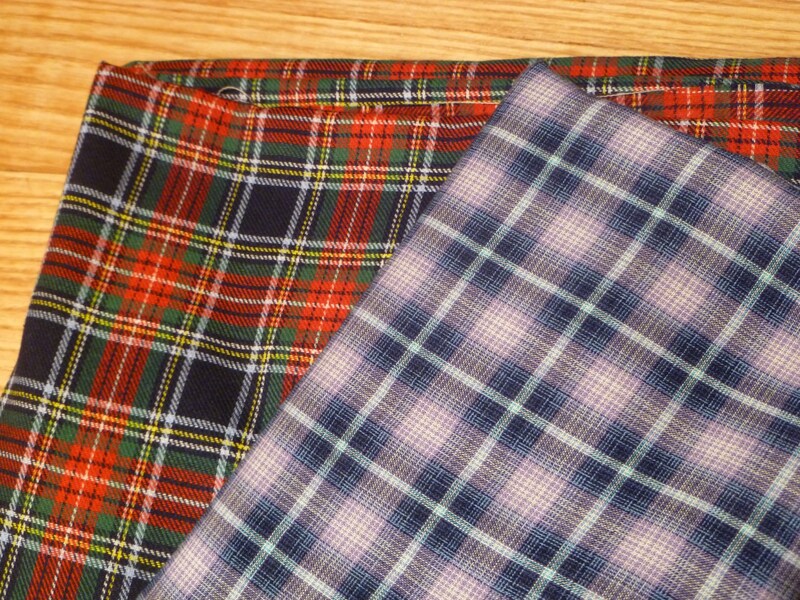 These are 41% cotton, 39% wool, 13% nylon and 7% polyester. 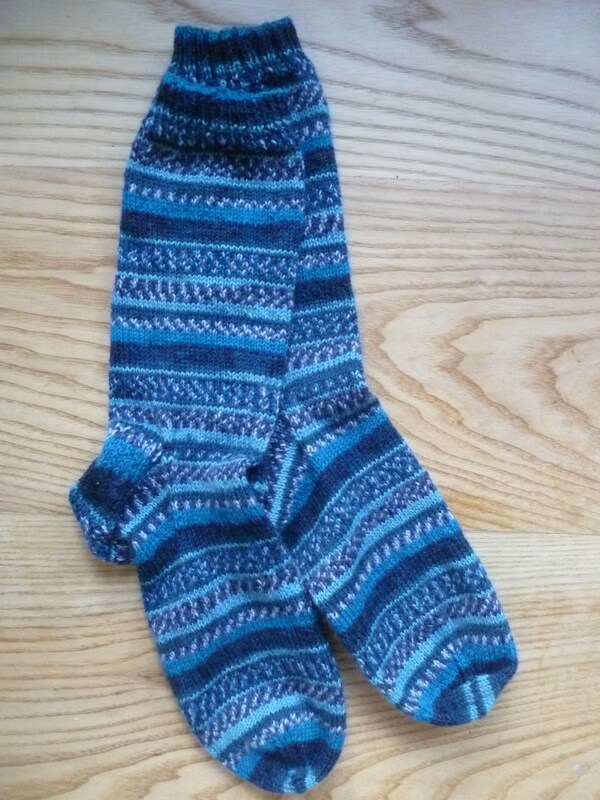 I thought my love affair with knitting socks was coming to an end but I think I dragged these out too long which made them seem never ending. I’ve already bought yarn for the next pair. 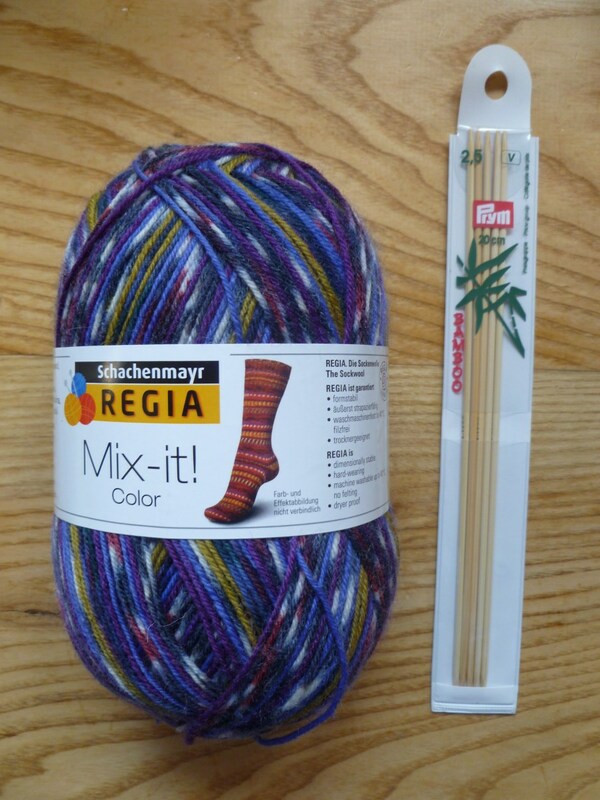 I’m going back to the Regia Mix It Color, the same yarn that I knitted this pair in. This time I have colour 09384,second from left in the bottom row of the link which is a grape colour. Next week I’m flying long haul so I plan to while away the hours with a bit of knitting. 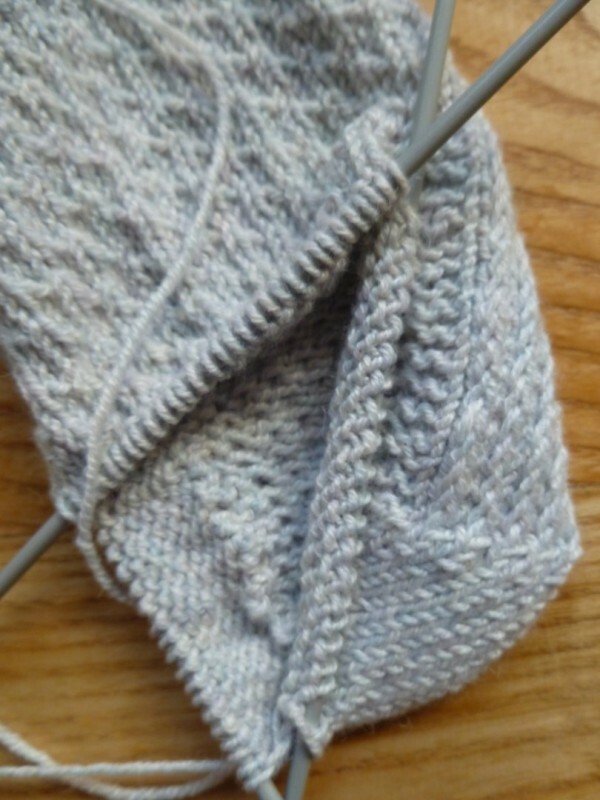 I’m going back to stocking stitch as this yarn doesn’t need a pattern to give it interest but I’m going to try a new technique of a ‘short row’ heel. This gives the look you get with RTW socks with that diagonal line in the heel gusset. I’m not quite sure where airline security stands these days with knitting needles so I have bought a set of double pointed needles in bamboo which I am presuming won’t show up in an x-ray or does anybody know any different? After buying the Sewaholic Renfrew pattern at the beginning of the year I’ve been itching to make one up. I’ve been searching for some cotton striped jersey, either navy & white or red & white. I wasn’t having much luck as when I did find some it would be out of stock. In the end I plumped for polka dots. I was a bit disappointed when I opened the parcel from myfabrics.com. I had ordered the navy expecting that the polka dot was white, it’s not, it’s light blue. (Which it clearly states in the description). Then the red and pink, well, I don’t know what I was thinking of. I’ve put it to one side as it will be perfect for a summer skater dress for my daughter. A few days later I was in John Lewis and they had in the sale the red and white jersey stripe at £7 a metre so I snapped up 2mts. It was just what I wanted, a knitted stripe, not printed. The bottom fabric is actually a pair of Ikea curtains. They caught my eye in the display and when I touched them they had a nice handle and drape. 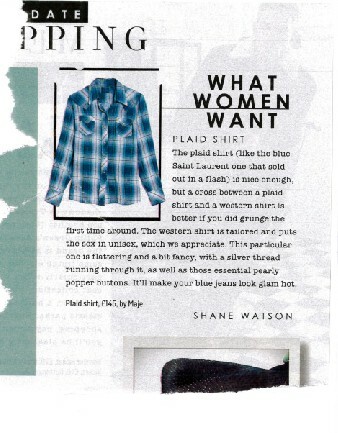 The fabric is 70% polyester and 30% cotton. £15, or if you have an Ikea family card like I do, £11.25. For that you get two lengths 3mts long, 145cm wide so a total of 6mts. Bargain! I immediately pictured a summer dress. Time will tell if the fabric ever gets made up but with 6mts we could make like the Family Von Trapp. 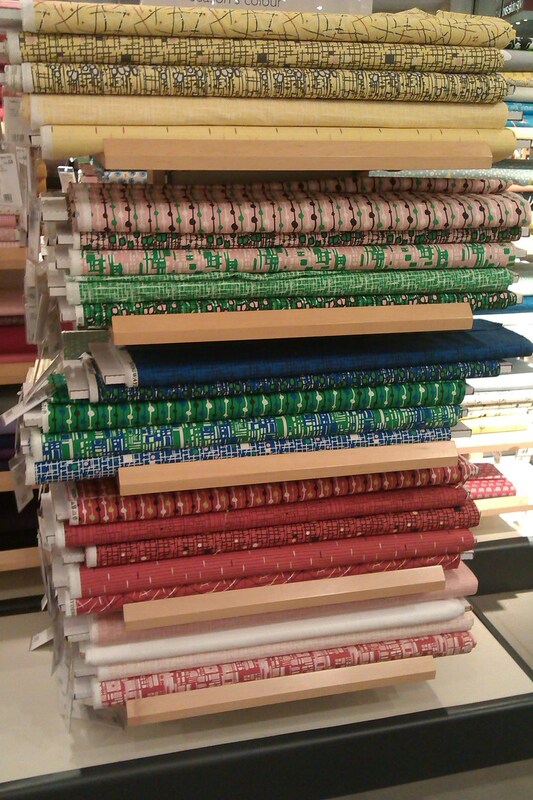 When I was at John Lewis they had a stand of some fantastic fabrics I hadn’t seen before. These are by Hemingway Designs from Wayne Hemingway who founded Red or Dead. At £20 per metre it’s not cheap but is 150cm wide. I would say it was a medium weight cotton, heavier than quilting weight. I haven’t bought any yet but I love the green and blue mixes, in fact I love them all. 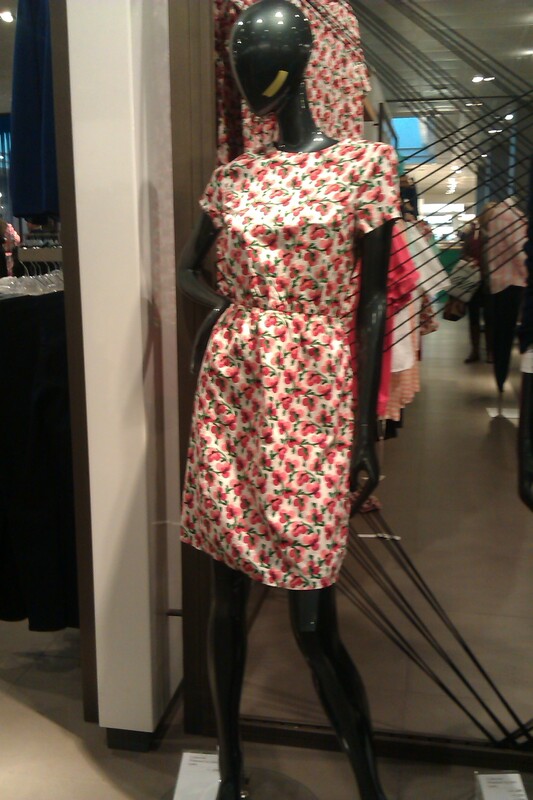 For a bit of inspiration I saw this dress. I’m sure I could get something like this dress out of 1.20mts. This was just a simple straight up and down with bust darts, invisible back zipper and elastic at the inner waist seam. The only thing it was missing was side seam pockets. Or this sleeveless one which is a similar shape. 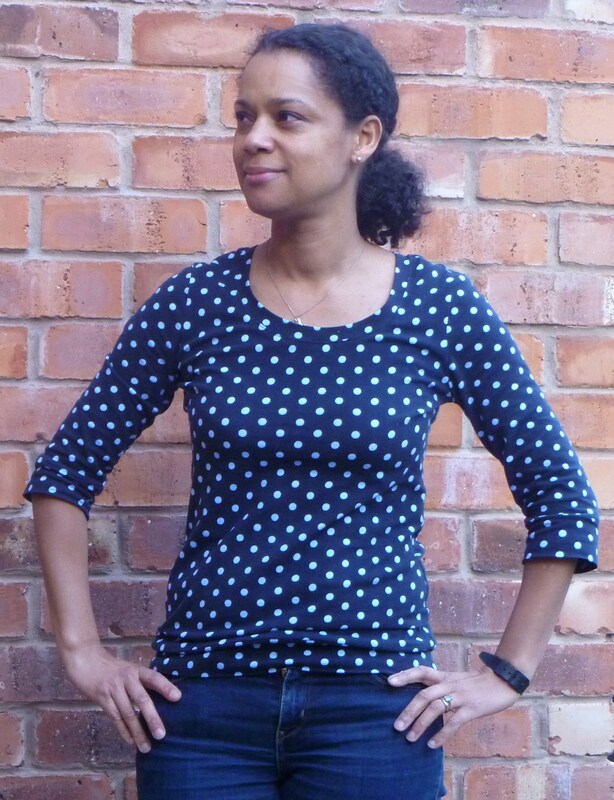 Anyway – first off I’m going to sew up the navy polka dot into a scooped neck Renfrew. After sewing the two shirts I felt like I needed something quick and simple to sew. I made the Maria of Denmark Kimono tee last year as my first proper attempt of sewing with knits. The pattern is a free download, you get it sent to your e-mail box when you sign up for Maria’s newsletter. I have two skirts that don’t get worn at the moment as I don’t have tops which would go with them. I decided to make one red and one black which would sort out this problem. 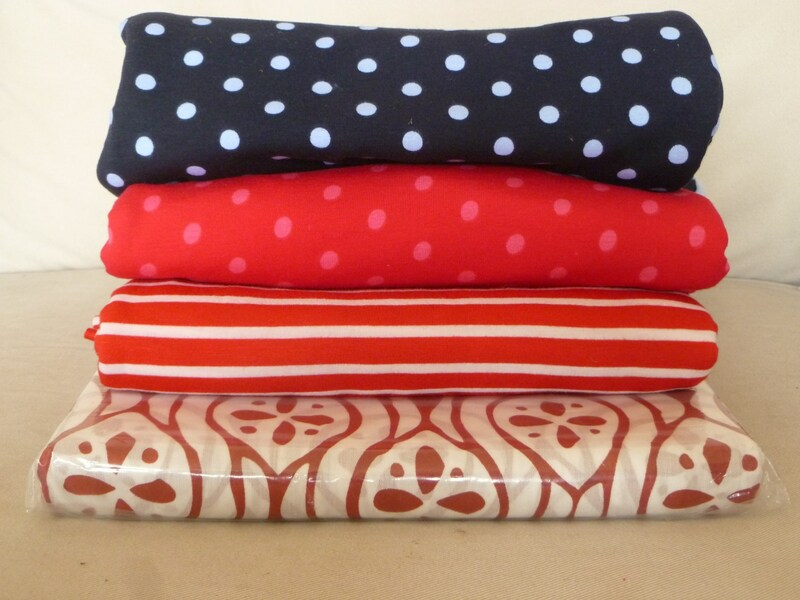 I bought the 100% cotton single jersey fabric from Calico Laine on-line at £5.49 per metre. One thing I love about Calico Laine is that they post out 1st class so if you order by early afternoon you are likely to receive it the next day. I used the triple stretch stitch on my machine using a ball point needle and neatened the seam allowances with the overlocker. It has made me realise that I really need to get the overlocker serviced as currently it won’t work as a 4 thread. Construction would be so much faster if I could, getting rid of the need to use the triple stitch and sewing and neatening in one go. I spent some time trying to work the problem out. It seems that the tension disc isn’t working. I can’t seem to tighten it which is what it needs. I used clear elastic to stabilise the shoulder seams. I hadn’t had much luck using this before but I feel now I have sort of mastered it. Previously I found the elastic was stretching when I stitched it to the seam resulting in a puckered seam. Now I stitch it on after I have sewn the seam and slightly pull the fabric and this seems to have got over my problem. For attaching the neck band I followed the pattern advice and cut the band 15% shorter than the total length of the neck opening and this seems to work fine with me. 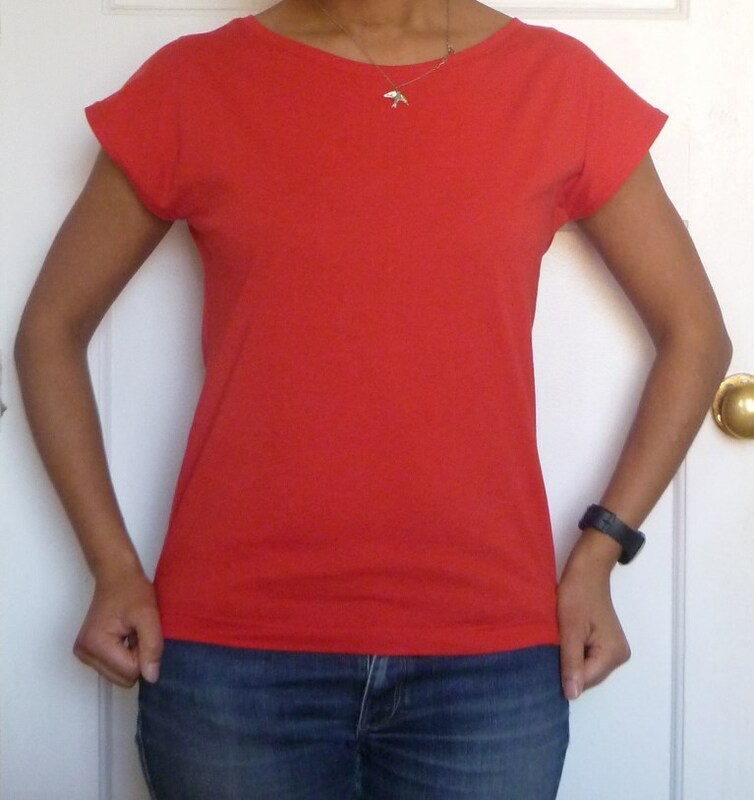 I made the red tee first and I found that the shoulder seams sit slightly too far back on me and the back neck line was a bit stretched out and hung down. 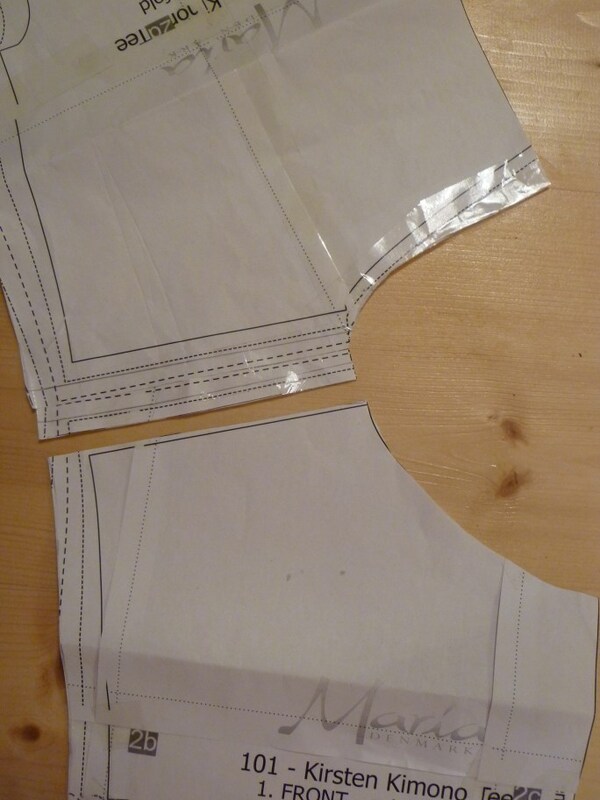 Before I cut out the black tee I took 1.5cm from the front shoulder and added it to back shoulder pattern and then raised the centre back by 1.5cm lessening the cb dip and curve. I also stay stitched the back neck in hope of preventing any stretching. It’s all seemed to work and the black fits much better at the back neck. 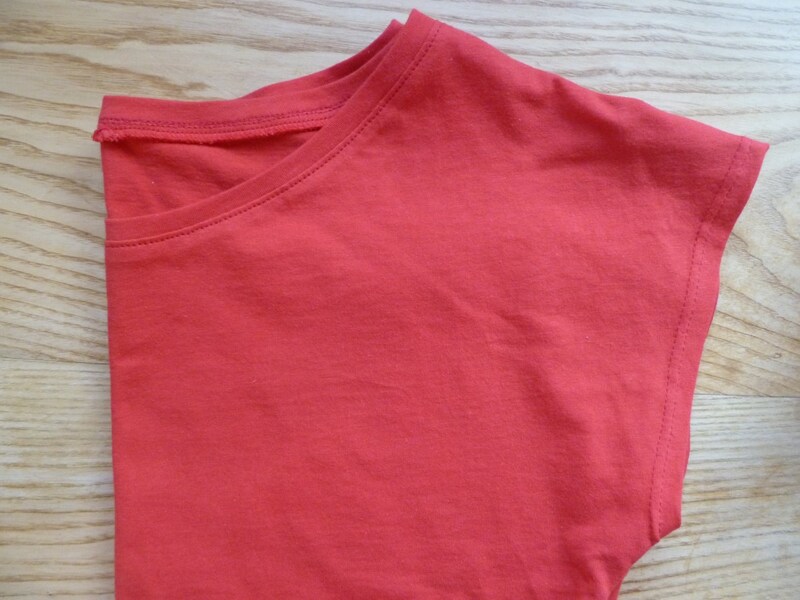 The body and sleeve hems were finished with the ball point twin needle. You need to be really careful you don’t overstretch the hems when finished or the stitches could snap. The thing I find most time consuming on these tees is securing the thread ends of the twin needle hems. I bring them all through to the back and stitch in and tie off. The red one has been worn this week with a skirt I haven’t worn in ages so job done! Going straight into another checked shirt after the first one was a bit of a mistake, I found the first half of this slow going and did think about giving up. 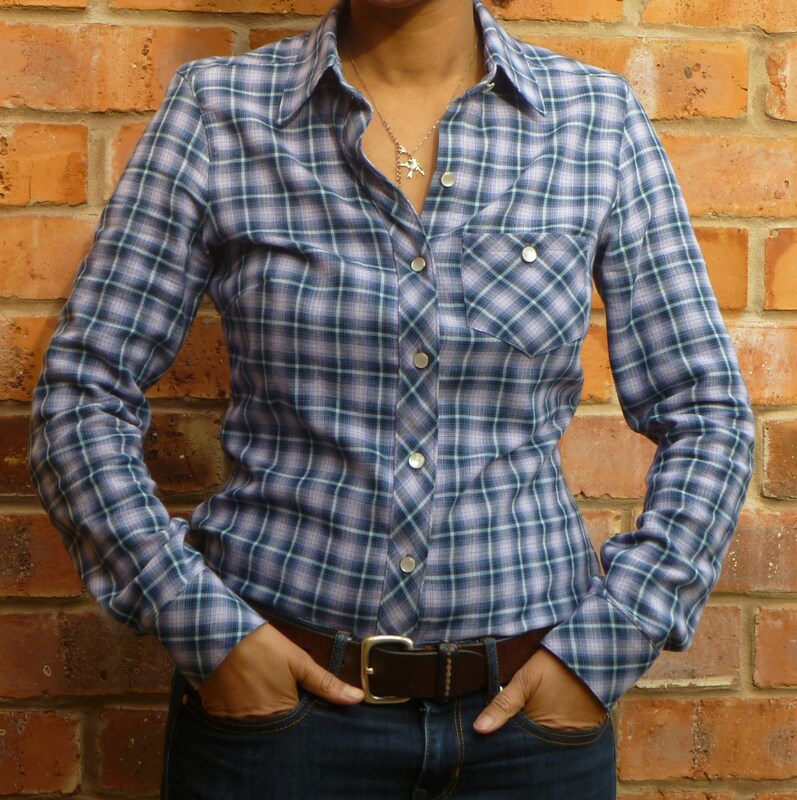 It’s the same slimmed down Burdastyle 7136 pattern that I used on the tartan shirt and the original pattern (un-slimmed) for this denim shirt. The fabric was a bit of hard work, it was two layers of quite lightweight loosely woven fabric joined together by a teeny tack in 1″ spaces. This made pattern matching when cutting out more difficult as when cutting the second piece of a pair I’d have the plain reverse facing me. I faffed around over the chest pockets for a while before deciding on just one and without a flap. I didn’t intend to use a button but when I was stitching the button holes for the front and cuffs the machine was behaving so well I pushed my luck with just one more. With quite a big check I soon realised I needed to think about where the light stripe was sitting. When I first stitched the back yoke it looked a bit rubbish. So I took another 5mm seam allowance and covered the stripe and it looked much better. The sleeve head opening would be short by 1cm but all was fine and it wasn’t noticeable when I came to sew the sleeves in. I wasn’t enjoying sewing this shirt at all. When I stitched the pocket on somehow I put it way too low so had to unpick which was really tricky as the fabric has quite a loose weave and the thread was a spot on colour match. You can’t see it on the outside but you can see needle holes on the inner fabric. So I took a few days off from it and decided to take a slowly. From then on things worked out ok. I broke it down into processes and took one at each sitting. Sleeve plackets, insert sleeves, side seams, cuffs, collar, hem, buttonholes, buttons – finished! 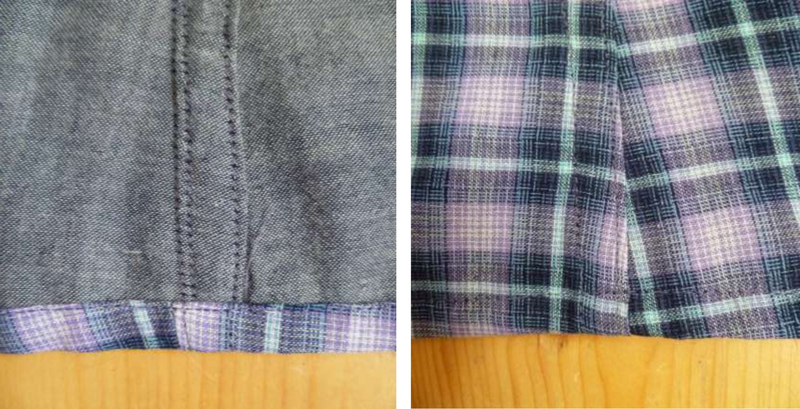 I flat felled the underarm and side seams just as the last shirt which I am really pleased with and again I gave myself a 2cm seam allowance to work with. I nearly didn’t bother because I just wanted to get this done but glad I took the time. The fabric was from My Fabrics which was on half price sale for £5.50 per metre, I now know why it was on sale as I wouldn’t buy it again – looks great when finished but hard work getting there. 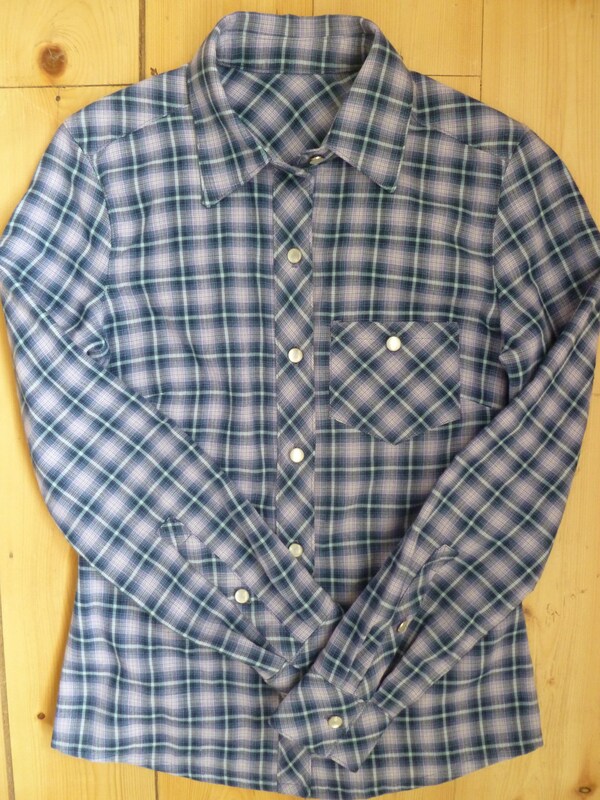 My original inspiration was this shirt, and now I’ve sewn three I don’t feel I need to sew one for a very long time.